nopCommerce comes integrated with reCAPTCHA that enables the store admin to enable CAPTCHA for list of specific pages in order to prevent spam on the website. Before we go further into this tutorial, let talk about reCAPTCHA. 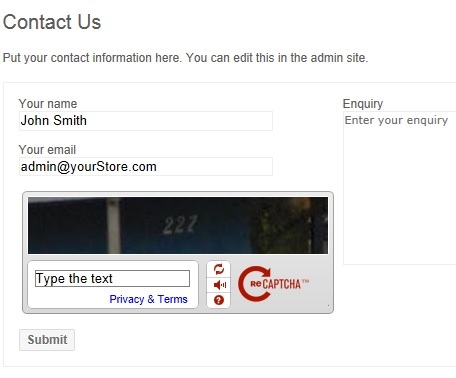 reCAPTCHA is a free service to protect your website from spam and abuse. reCAPTCHA uses an advanced risk analysis engine and adaptive CAPTCHAs to keep automated software from engaging in abusive activities on your site. It does this while letting your valid users pass through with ease. reCAPTCHA offers more than just spam protection. Every time our CAPTCHAs are solved, that human effort helps digitize text, annotate images, and build machine learning datasets. This in turn helps preserve books, improve maps, and solve hard AI problems. So, you install a fresh copy of nopCommerce, enjoying all the feature and excited about setting up the store but suddenly you realize that while playing around with different options, you have deleted the administrator account by mistake. How to recover your administrator account now? nopCommerce comes with a variety of features and one of those features is "Activity Log". An activity log is a report which records each and every activity in a system and displays is in a sequential order (as it occurs). nopCommerce Activity Log keeps a track of all the events happening within the website (front-end and back-end). Why this activity log is useful? This report captures all the system events from the nopCommerce based website such as: Public store login, place an order, view a category, add a new settings and much more. 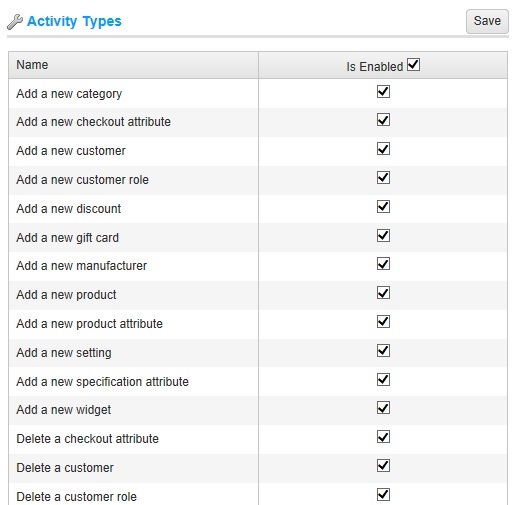 This is a great feature that can help a store admin to keep a track of all the events happening on the store site.